Car dealership group Arnold Clark has been given approval to create a major new car sales base in Wednesfield. The group, which has more than 200 dealerships across the UK, is investing millions of pounds in its new motorstore including a showroom at Pantheon Park, Wednesfield Way. It is expected to create 85 new jibs. The four-acre site will also include a display forecourt, secure compound and vehicle preparation building. It is seen as being key to Arnold Clark’s expansion of its wider business operations in the area. A planning application to City of Wolverhampton Council has been approved subject to completion of a planning agreement and work is expected to start on site in the first three months of next year. "Alongside Bridges Fund Management, and with the support of the Black Country Local Enterprise Partnership, we’ve worked hard to get the site ready for development and it is pleasing to see construction could begin early next year." Pantheon Park is an 18-acre site, which is ready for construction to begin following a programme of remediation and demolition. The development is a joint venture between Birmingham-based Stoford and Bridges Fund Management, a specialist sustainable and impact investor. The enabling works have been supported by a loan of more than £2 million by the LEP. Guy Bowden, acquisitions director at Bridges Fund Management, said: "We believe the Pantheon Park development represents a great opportunity on both fronts: by reclaiming this valuable land which has been vacant for a decade, we can help meet the clear shortfall in supply of high-quality warehouse space locally, creating hundreds of jobs and hopefully contributing to the regeneration of the area in the process." Pantheon Park has detailed planning permission for four schemes providing build to suit units from 30,000 sq ft up to 412,000 with 24/7 operations. Once completed the whole scheme is expected to create around 400 jobs. Arnold Clark is already an important business in the area with its GTG Training Centre and vehicle rental facility at Bearing Drive currently employing around 50. Operations across the two sites will enable Arnold Clark to further develop its apprenticeship training schemes, providing practical, on the job experience for recruits. Arnold Clark Automobiles was established in 1954 and now employs more than 11,000 staff nationwide. 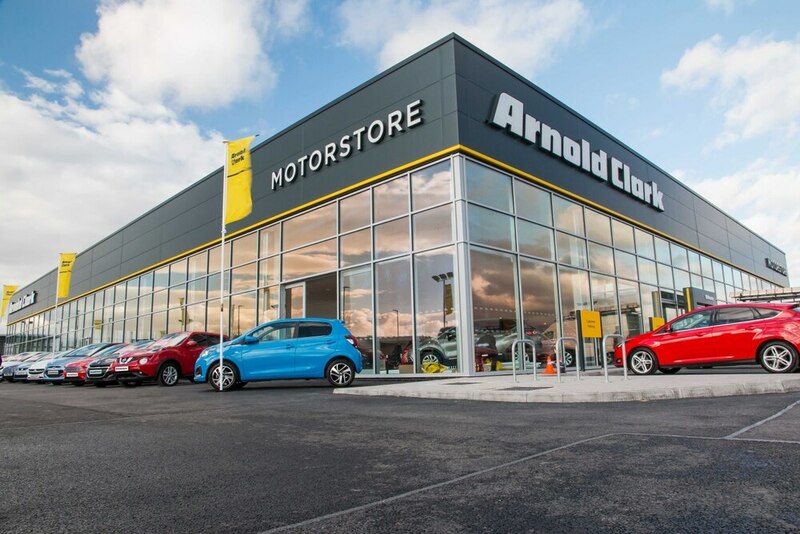 The new job opportunities at the two Arnold Clark sites would involve a variety of roles, including vehicle technicians, vehicle preparation staff, sales, administration and management.